We know there are Thousands of free eBooks out there. Since quality always comes first at FreeToSell.com, we have reviewed every product we could find and then carefully selected the best 36 titles here for you. Tired of wasting your money and/or time placing ads that never get noticed? Want to know the real Secret to writing ads that pull like a powerful locomotive, sending box cars packed with people racing to your website? Then you Can't Afford Not to read this book. A complete Guide To Selling Your Own Ebooks On The Internet. This manual shows you exactly how to write, create, promote and sell an E-book on the Web. It's packed with interesting tips and lots of links to free on-line services. Once you read it, you'll be able to launch your own profitable E-book on the Internet. 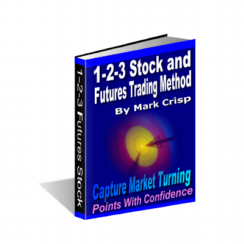 This is a free ebook that is extremely informative. When you are new or even better than new at marketing on the net, this book is worth taking the time to read. Angela Wu is the writer of this well thought out book. This book is in pdf format which means our Mac readers can enjoy reading it, too. Yanik Silver has surpassed himself on this free to give away ebook. Basically... he tells you that humans don't change. The same excellent and creative advertising techniques still work that worked on human nature years and years ago still apply today. And, he gives you a whole book on those sale's tactics. Don't miss it. It is a real "eye-opener!" There is also an income opportunity in the book that costs $10.00 to have the book personalized, then you can give it away like crazy. It is up to you. However, just reading it is well worth the learning experience. Frank Kern has written a book that gives you a strong sense of what marketing is all about. This book teaches you some very important information on the value of giving away free reports and capturing email. It is a free book to give away. There is also an income opportunity in the book that you can read about and decide if you want to have the book branded by the author and have a chance at backend sales through giving away a free book. This choice is up to you. Explosive Wisdom from 2 Top e-Marketers! In this eBook you will find 61articles that range from Advertising with Ezines to Website Design & Promotion. interviews and all of the articles anywhere you wish. ebook production, then this ebook is a must read. Find unadvertised, below "rockbottom" prices on consumer goods and services. If you don't have a web site and want to know what is involved in starting one, this is the book for you! It covers things like what skills and equipment you need to have, what programs you need to get, how to sell on your web site and more. This eBook may not be sold. It can only be included with other original products. Where and how to base your business on the internet. How to decide what the right "subject" is for you. Combining design, layout and content to create your site. How to add relevant, dynamic, live content to your site. Turn casual visitors into a virtual community. How you can sell branded products with no inventory or investment. Traffic generating techniques that work ... and those to avoid. eBook #3: The Best of Web Gold Over 75 training articles teaching you step-by-step how to build an Internet business. You might not need them but trust me some of your web site visitors would love to have them. * These e-books are helpware which means you agree to give them away for free to at least 10 people you know for each e-book you download. This e-book will introduce you to web page building tools, and show you how to host your site on free hosting services. You will learn how to find and use tons of free components (graphics, icons, dividers, plug-ins, etc.) to enhance your website. It also shows you how to get your domain name free, and point it to your new website. E-mail forwarding, Banner design programs, and other free services are covered in the eBook as well. It also takes you to some free advertising services where you can sign up and start advertising your website immediately. You will even discover how to make additional income from your website free! Since 1989, Mike Enlow world leading "technologies marketing consultant" has assisted business men and women to gain an absolute marketing advantage using competitive intelligence and creative marketing techniques. Mike Enlow is endorsed by many of the worlds most respected marketing consultants like: Jay Abraham, Ted Nicholas, Gary Halbert, Dan Kennedy, Brad Richdale, Jerry Buchanon, and others, as the person who ushered in the world of "Internet Commerce." His phenomenal success using the Internet as a tool for himself and his clients has kept him at the top of the list of Internet Marketing Advisors. This software provides14 ebook stores, that accept E-content from independent authors. By clicking on the 14 buttons, you are presented with, in a separate frame, website addresses, information on submission guidelines, royalty payments, accepted genre, contract previews, limitations and restrictions, and more. Also provided are links to other beneficial information for authors. If your site provides E-books, links, or information concerning E-books, then this will be a good utility for you to give away from your site. If you are an E-book publisher, this is also a good utility to give away with your rejection letters. This is a short ebook that offers seven suggestions on how to increase traffic to your Website. Learn about targeting, ezines, search engines, and other techniques that take advantage of the power of the Internet to bring more traffic to your site. It's easy to read, the interface is attractive, and you may be able to pick up some pointers fairly quickly. An immediate, worldwide sensation was created after "The Magic Story" first made its appearance in 1900 in the original Success Magazine. After 1000's of reprints, a tiny, silver book was published. You may not be able to find the silver book today, but the author has made the story into an eBook so that you too may benefit from its powerful message. This book is responsible for untold millions of dollars in sales and profits. It is the book that many of the 'gurus' you know used as the foundation of their $495 marketing courses. Some who read it can not grasp what it means. Others who read it get affected so deeply that it changes their entire way of doing business and they go on to mwke fortunes. How To Write So People Buy Now! 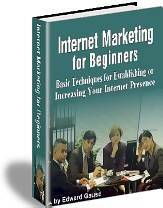 If you want to make money on the Internet - this eBook is the first step. It will reveal the methods used by history's Direct Response Master's! My sites pull in $1,000's a week for one reason and one reason only. I don't treat my web site like my home. I think the name 'Home Page' has a lot of folks that are trying to make money on the net seriously confused. Unlimited Profits reveals how you can cut through the hype and finally start making money online! Dr. Kevin Nunley's marketing articles are regularly printed on AOL, Prodigy, and in many business magazines. You can also see his monthly column appearing exclusively in DEMC. You can find him talking about marketing as the moderator of Prodigy Internet's marketing discussion area. Kevin's long experience working with e-businesses has taught him that many traditional business tactics won't work well on the Internet. Therefore, he works on a model that says that one should tailor their marketing strategy specifically for the Net, rather than trying to superimpose old practices onto a new media. Jan has put a nice little ebook here with her experience being online for more than two years. This is an informative newbie-friendly product featuring Jan's best articles, observations, helpers and information as her half way from 'newbie' to 'guru'. If you believe you are at the same stage as where Jan is, you would find this ebook very helpful. A Nice Software that will automatically submit your web site to Award sites for you. Currently there are 71 sites. It also has a built in "Update" to jeep the software current as well as tips on getting one of the Top 8 awards of the web. In 5 easy steps, this eBook will show you how to get CD's to Autostart. You'll discover how to Autorun eBooks, Setup Programs, Flash cartoon animations, HTML files, more..
Just imagine an ebook auto-starting when a CD is placed into the CD-ROM drive. 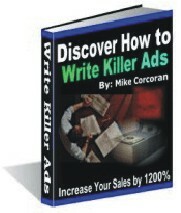 Listed in top 10 at www.ebookpalace.com, this eBook is a must if you want to sell ebooks or develop other products on CD. of successful people. What do they know? Find out now. Then share the book with others. A very simple trading technique, but without doubt one of the very best patterns for distinguishing a "newborn" trend. You are about to learn how to avoid the maze of Marketing Mind Games. 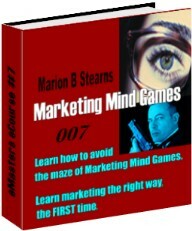 Pay close attention to "Marketing Mind Games - 007." If you do, you will not have to collect bits and pieces of information to market your offers. You now have the ability to learn marketing the right way, the FIRST time! 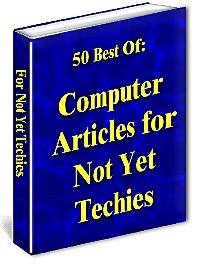 Download "50 Best of: Computer Articles for Not Yet Techies"
Written by a Non-Techie for Not Yet Techies. Start Fresh with Great Techniques. This book can be customized with your name and website for free. Learn from this little gem, then pass it around with your link in it. "How to Become a Successful Solo Professional" will show you how to transition into your own business, while still being employed full-time. It covers what to do and when to decide to leave your job to work at home. We are sure that you have some of the titles in the above section. just in case if you missed any of them.